Originally an exclusive game for the ill-fated Ouya console, Towerfall is a multiplayer archery game available for PC and Playstation 4. It looks like a Super Nintendo game and plays like a much simpler version of Super Smash Brothers: navigate a 2D arena and shoot arrows at enemies to eliminate them. The mechanics are as simple and straight-forward as the game’s presentation: you run around, jump, dash, and shoot arrows. It’s this simplicity which lends this game such a shallow learning curve, meaning it’s an ideal game to pick up and play with new people. Since a single hit kills, rounds are fast and furious, and although I’ve recently discovered Towerfall, it is already an instant classic with our Gaming Federation. Towerfall is all about one thing: playing with other people. It’s not a game that will satisfy a single player, and I’m not only fine with that, I’m relatively disinterested in games that do not revolve around some kind of multiplayer dynamic. This game will have you and a group of friends yelling, and will turn people who don’t even play games into rabid Towerfall fanatics (I’ve seen it happen with more than a few casual visitors who gave it a shot). A major part of the appeal is the satisfying simplicity of the game, but it is also highly customizable. There are dozens of options to control which weapons appear, how players target others, and more granular control than you will likely want or need. Experimenting with these gives the feeling that when you find friends who enjoy Towerfall, you could spend hundreds of hours playing the game and tinkering with the rules. 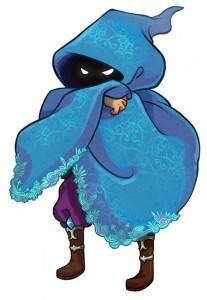 One unique aspect of Towerfall is that while there are different characters to select, they don’t have different weapons or abilities. The combination of accessibility, satisfying gameplay, and charming retro presentation that this game offers is remarkable. The closest game that I know of which has these qualities is Nidhogg, another independent game that’s easy to recommend, although it is limited to two players. I’ve dropped around 400 hours on Call of Duty and Battlefield multiplayer matches. And yet, those series, with their monumental budgets and development teams, were trumped in 2013 by a dude named Matt, who made a game called TowerFall. 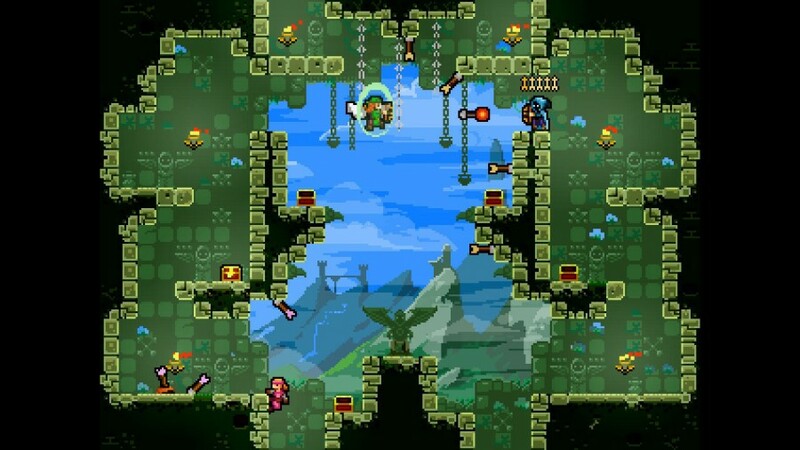 It’s marginally changed since then – the new version available on Windows and Playstation 4 is called Towerfall: Ascension and there is a recently released expansion pack called Dark World, but the original point remains: this is an example of truly exceptional multiplayer game design. I love what Towerfall has to say about the larger gaming industry: that the best games anywhere can came from anywhere. It is a huge credit to the vibrant spirit of independent game development. I first purchased Towerfall on Steam and ran it on my 2013 Retina Macbook Pro. I experienced intermittent slowdown issues (described here on Reddit) and eventually jumped to the Playstation 4 version. For what it’s worth, Towerfall has not performed great for me on Mac but works flawlessly on Playstation 4, so that’s the platform that I would recommend. I also purchased the Dark Worlds expansion pack for $9.99, which along with the original $14.99 game price, puts the total at $24.99. It has been worth twice that as I’ve played multiple unintentionally-long Towerfall sessions with friends. For me, Towerfall goes into the all-time local multiplayer best-of category, along with Mario Kart.